This blog is focused on all great things about the Camino de Santiago, and keeping the spirit of the Camino alive in our every day lives. So far, I have walked three Caminos: Portugués, Inglés, and Primitivo. I intend to walk different Caminos and volunteer as a Hospitalera in the coming years. Pilgrims carry a credential passport to collect sellos (stamps), which we then show at the Pilgrim Office in Santiago to receive a compostela (certificate of completion). More than just a piece of paper, the Camino has provided me with new friends from around the world, a more meaningful way to travel, and memories to last a lifetime. During the planning phases of my Camino journeys, I’ll share tips, recommended readings, films, pilgrim interviews, gear reviews, videos, and my favorite Camino blogs. After completing my Caminos, I use this blog to post my route reports, complete with photos, videos, and helpful tips for pilgrims. 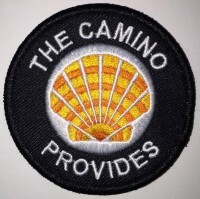 As a chapter coordinator for the Northern California Chapter of American Pilgrims on the Camino (APOC), I help promote Bay Area Camino events, organize presentations, and contribute articles for APOC’s newsletter. A pilgrimage of this magnitude doesn’t start when you take your first step on tierra firme in Spain; it begins when the Camino calls you and you can no longer ignore the dream. For many people, the Camino is transformative and doesn’t end when they reach Santiago. It endures beyond the physical journey and extends into their daily lifestyle. I look forward to sharing my Camino experiences with you and hearing about yours. I welcome your perspective and guest posts about how the Camino has provided for you. To do that, please use the form below or email me at laurie@caminoprovides.com. Hopefully you get the chance to walk soon! I can say without a doubt that the Camino provides! Thanks Drew! I can hardly wait. I’m planning to go next spring and the years following. When and where have you walked it? That’s great. I walked the Frances from St. Jean to Finisterre in 2012. It is really neat to watch someone make such extensive preparations for a trip. I am such a spontaneous traveller. In fact, I am usually the last minute-change-as-we-go kind of traveller. I wouldn’t change a thing about that style, but I am getting inspired to start thinking about adding an element of planning to one of my future trips. Thanks!! The Camino is high for my wife and I also. We are not sure when we will do it, but we are excited about it. We walked a bit of the Appalachian Trail last weekend, and loved it. I look forward to learning from your journey. They just had an article on it in National Geographic this month, and we watched the film that Emanuel Estevez directed which was great. Thanks for following, Wendy! The book “A Million Steps” is on my To-Read shelf. There are so many books about the Camino that I will have to start a page for them as well. Time to start hitting the books! There is a movie I would love to watch, called “The Way” with Martin Sheen with a yellow background on its cover. For some reason South Africans can’t buy it through Amazon! It’s restricted to our area for some unknown reason to me! Thankfully You-Tube has a few good documentaries. I’m be watching your progress 😉 Loved reading about your backpack ordeal. The Camino is now with us for life and we still, EVERY DAY, think about it and try to immerse ourselves in all that it is. So your blog is perfect for this. We will be sure to connect on your other social media so that we get our Camino dose through you and hopefully be able to follow your journey. Our next goal is to go via Camino Portuguese…. not sure when yet! Thanks! I will be doing the last part of the Camino Portuguese May 21-30, 2016. Perhaps our paths will cross! I always love meeting Aussies. Buen Camino! Lovely blog! Get lucky with your trip and your way. Enjoy it! Buen Camino! Thank you very much! I am excited for my first Camino in May 2016 on the Portuguese route. Receiving the calling to go is when it really begins, don’t you think? We are already on our Camino in the preparations for it and getting to know others in the community. Wishing you peace and opening for your journey. In May, my son will be out there again. It calls you back too. . . I am contemplating it again as well. I just got back from my first Camino in early November. It was kind of a spur of the moment crisis in life decision and I had no idea what I was getting into or why anyone would live for the Camino as so many seem to do. It was the best decision I have ever made and I know I will return some day. I can’t wait to read more about your adventures! It is so good to connect with you! What inspired you to want to do the Camino? Hi Melanie. Thanks! I enjoyed the Camino Portugues too! I will be posting my daily walks soon. So, what will your next adventure be? Hmmm – the Camino del Norte is on the bucket list but that may be a couple of years down the track. I am thinking India might be pretty adventurous! Really? I’m thinking of going to India in December with my yoga studio. They’re offering a retreat in Varanasi. It’s an opportunity of a lifetime. I want to see other places there too though. Right now it’s a little overwhelming, but exciting! If you had 7-10 days to travel in India, where would you go? If your rather respond offline, please email me at laurie@caminoprovides.com. I am very interested in India now. 🙂 Namaste. 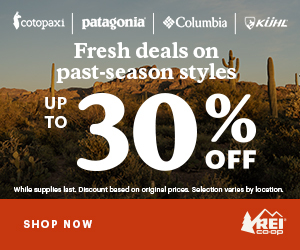 I am looking at traveling with an Australian company called Peregrine Adventures. I am a pretty adventurous person but I the thought of traveling solo in India – initially anyway – frightens the pants off me!! I am thinking about 15 days in the Rajasthan area would be a perfect introduction..
Haha, when I read “I just follow my bliss”, somehow it registered in my mind as “I just follow my blisters”. Greetings, I live in Sunnyvale. I had no reasons to walk the camino. I just had to. Finished Via de La Plata in 2016/17. The experience is transformative to say the least. I plan to go Portuguese, Norte, Frances, and a few other small branches in Andalusia. Happy to see pilgrims in the bay area. Hi Tyson, the Camino calling is strong! I’d like do the VDLP some day. Join our group at the Sept 2 Lake Merritt walk. I’ll be presenting about Camino Portugués central.